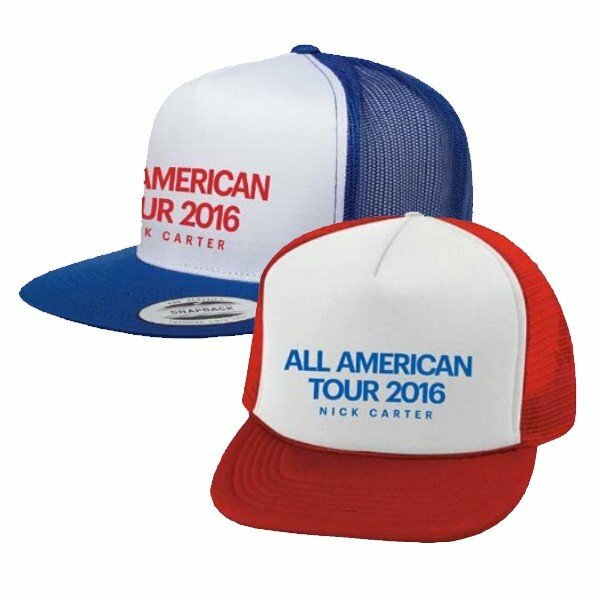 All American Tour trucker hat. Blue hat sold out. Red available in limited quantities while supplies last!